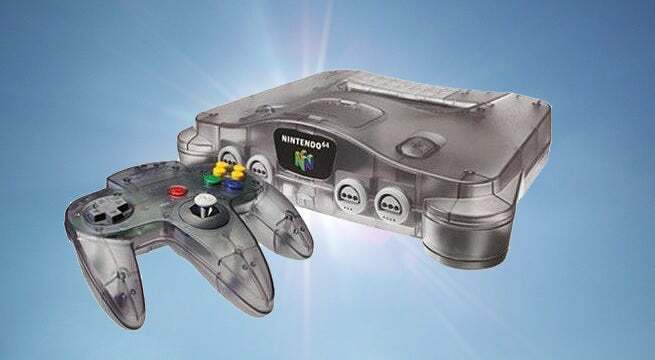 A new post on Reddit is making the rounds featuring three images that report to be of an official Nintendo 64 classic. According to the user, he was provided the images via an inside contact, who, as you would expect, has not been named. So, are the images legit? Well, if the photos are fakes, then they are pretty damn good fakes. That said, it's the Internet, and godly photoshopping skills aren't that rare. As some users point out, the pictured extending old school socket doesn't seem like something Nintendo would do, as it would be very fragile and thus potentially a problem for it. The NES classic notably had something similar, but it didn't pop out nearly that far. Meanwhile, the mock controller ports, which have been cut from the picture, would essentially prevent you from inserting the controller. So, there's that as well. Beyond these two details though -- neither which conclusions can be drawn from -- the images look like they could be real, and at the very least, are impressive renders. Whether this "leak" is fake or not, it's possible, if not probable, Nintendo will release a Nintendo 64 classic in the style of its SNES and NES Classic. As you may know, Nintendo released the latter in November 2016 and the former followed a year later in September 2017. Both were massive commercial hits for Nintendo, so much so, that it did a re-run of the NES classic this year. And it wouldn't be very surprising if a re-run of the SNES followed. That said, it seems like the logical next step will be the Nintendo 64 classic. And given a year passed between the NES and SNES Classics, it's plausible that it will actually come this holiday season, which previous reports and rumors suggested could be the case. And when you consider the PlayStation Classic from Sony is coming this December, it would make sense Nintendo would want to get out there with the Nintendo 64 mini to compete. It also could come next year. Who knows. But it seems increasingly likely -- whether these images or real or not -- that it's indeed coming. It's just a matter of when.